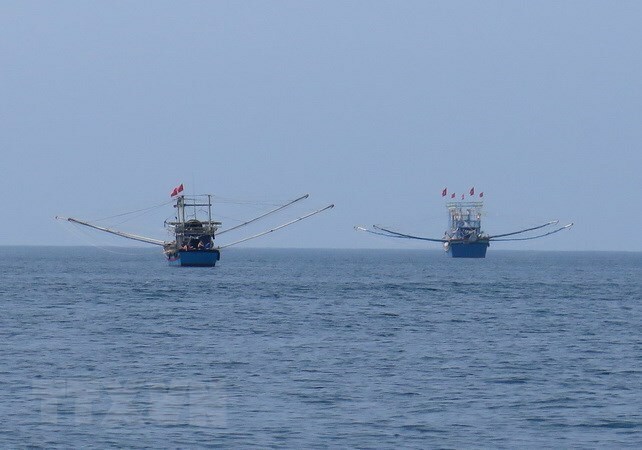 Hanoi (VNA) – Vietnam and China held the 10th round of talks of the working group on the sea area off the mouth of the Gulf of Tonkin and the 7th one of the working group on cooperation for common development at sea in Ningbo city, China’s Zhejiang province, on November 6 – 7. The Vietnamese delegation was led by Nguyen Dang Thang, a director at the Vietnamese Foreign Ministry’s National Boundary Commission, and Zhou Jian, a representative for border and sea affairs at the Chinese Foreign Ministry. In a friendly, straightforward and constructive atmosphere, the officials briefed about activities of their working groups. They affirmed the serious adherence to the common perceptions of the two countries’ leaders, including the agreement on basic principles guiding the settlement of sea-related issues. They agreed that based on the principle of progressing one step at a time, Vietnam and China will promote negotiations on the delimitation of the sea area off the mouth of the Gulf of Tonkin and the discussion on cooperation for common development in the East Sea in conformity with international law, particularly the 1982 United Nations Convention on the Law of the Sea to which both countries are parties.